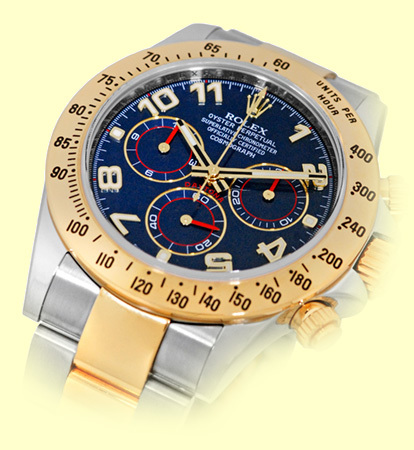 Certified Pre-Owned Gent's Stainless Steel & 18K Yellow Gold Rolex "Daytona" Cosmograph. 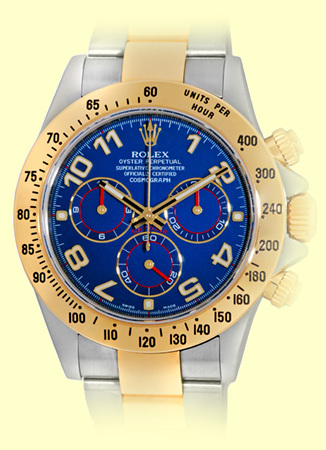 Blue Dial with Luminescent Yellow Gold Hour Hands and Arabic Numerals, Red Subsidiary Second Hand, Red Dial Accents and Small Chronograph Hands. 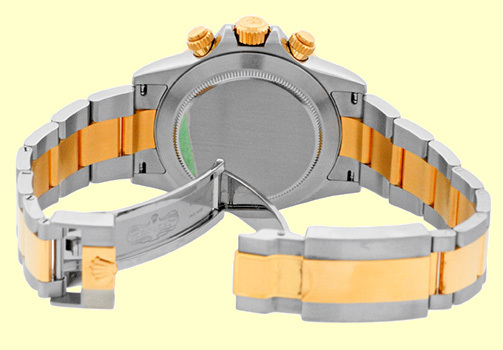 Matching Stainless Steel & 18K Yellow Gold Rolex "Oyster" Bracelet with Folding Oysterlock Safety Clasp. 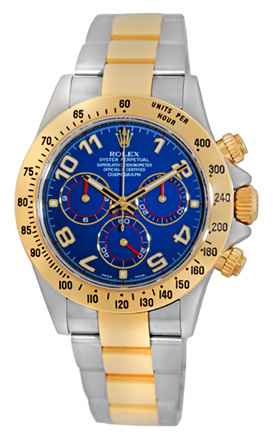 Random Serial Number, Rolex Warranty Card. 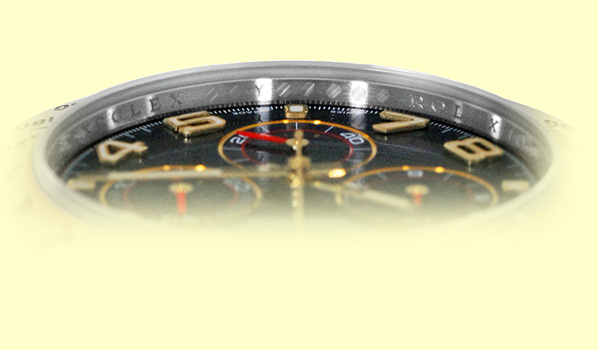 Handmade Swiss Chronometer Certified (COSC) Automatic Movement (Calibre 4130). 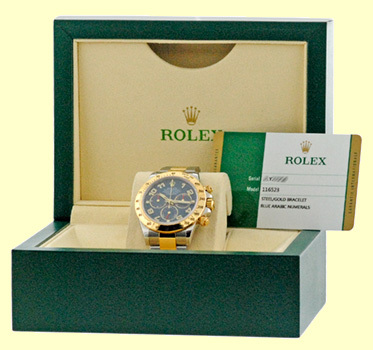 Certified Pre-Owned, Perfect Condition with Rolex Box, Booklet, Rolex Warranty Card, Hang Tag and complete with Capetown's Lifetime Warranty! !